This cross stitch pattern is part of the collaboration work "Adventures in crossing stitches". 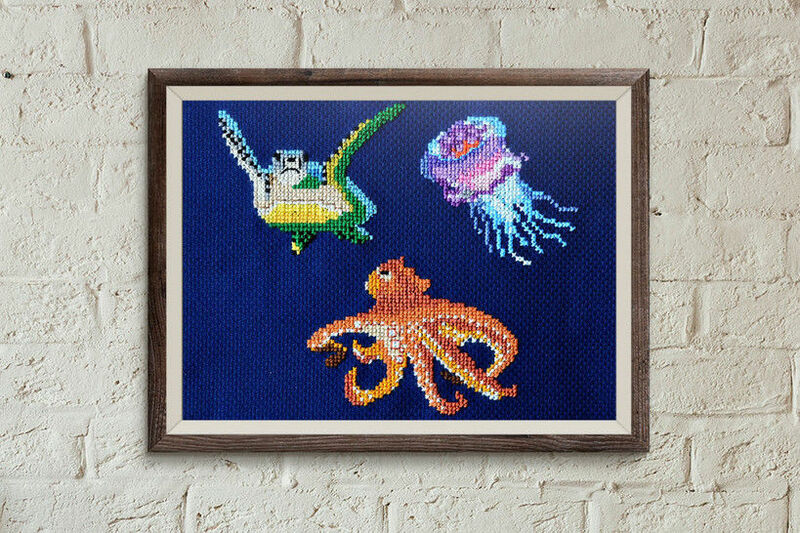 The underwater creatures set no 3 includes 3 cross stitch underwater creature motifs with some line stitches for more depth and luminosity. The chart sheet contains symbol and color blocks and the transcription to DMC colors.